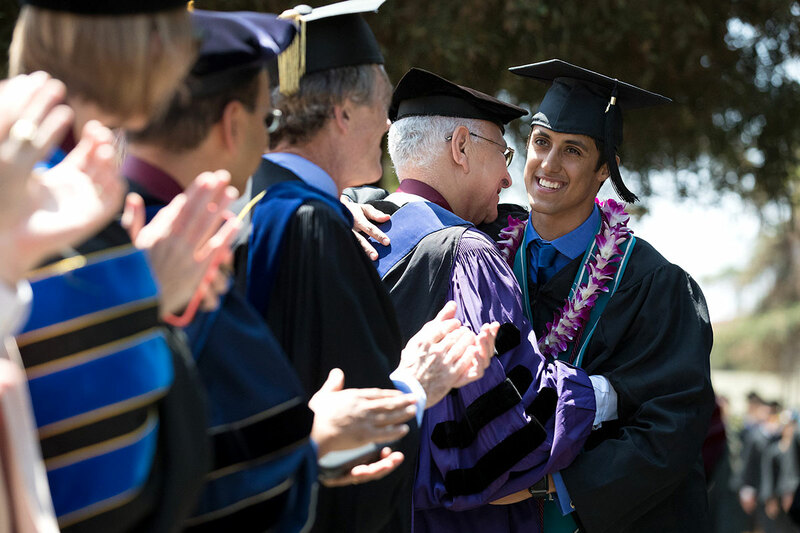 U.S. News & World Report has ranked Claremont McKenna College No. 9 in its list of the best liberal arts colleges in the nation. In its 2017 rankings, released today, CMC tied for ninth with Davidson College in North Carolina among 239 liberal arts colleges in the U.S. Among other findings in the report (which ranks colleges across several categories), CMC ranked fifth in the category of Faculty Resources with one of the highest percentages of classes with less than 20 students enrolled (84%) and only 1% of classes with 50 students enrolled – all at a student-faculty ratio of 8 to 1. In the Assessment of Excellence ranking, CMC’s peer score increased from 4.1 to 4.2 (on a scale of 1-5) and held at 4.5 with high school counselors. CMC also tied for 10th among liberal arts colleges nationally as a top college pick of high school counselors. CMC ranked 11th for graduation and retention with an average six-year graduation rate of 92% and a freshmen retention rate of 96%. For the third straight year, CMC was ranked 13th in the Financial Resources category. In other rankings, the College’s Alumni Giving Rate was ranked 24th, with a two-year average alumni giving rate of 38%. CMC also ranked high in such categories as Best Value Colleges, top-ten Most Innovative Schools, Economic Diversity and as a welcoming destination for Foreign Students. The results of such surveys contribute to the understanding of several outcome measures related to CMC, and how CMC is perceived by students, alumni, recruiters, peers, and others. Individual rankings should be interpreted as but one of many imperfect indicators of a college's quality and impact.